(1 Customer Reviews) | Write Review 12 issues per year Cornwall Life is THE county magazine, offering page after page of compelling features and superb photography every month from our talented and popular writing team. Each issue features the ‘must see’ events, the people, the places and the properties which you cannot miss for a true celebration of this wonderful county. We also feature the latest in gardening tips, a peek inside very special homes, the latest arts exhibition news and all you need to know about the fabulous food and drink on offer in our county. Our experts also guide you through the latest entertainment choices in our what’s on news. 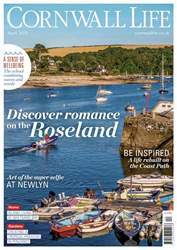 Looking for Cornwall Life in print? Unfortunately pocketmags.com does not sell print copies of Cornwall Life, but all is not lost. Our partner at magazine.co.uk sells print subscriptions at the best prices online. 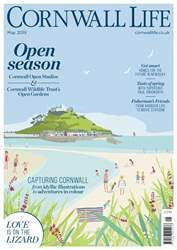 Cornwall Life is THE county magazine, offering page after page of compelling features and superb photography every month from our talented and popular writing team. Each issue features the ‘must see’ events, the people, the places and the properties which you cannot miss for a true celebration of this wonderful county. We also feature the latest in gardening tips, a peek inside very special homes, the latest arts exhibition news and all you need to know about the fabulous food and drink on offer in our county. Our experts also guide you through the latest entertainment choices in our what’s on news. 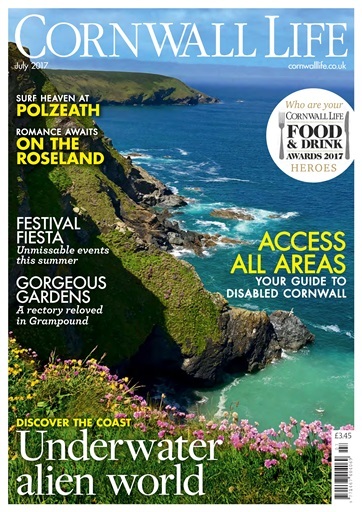 You'll receive 12 issues during a 1 year Cornwall Life magazine subscription. Love Cornwall you'll love Cornwall Life - great magazine exploring all things Cornish, food, gardens, farming, places, culture, history, nature. 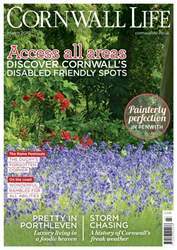 You'll receive 12 issues during a 1 year Cornwall Life magazine print subscription.